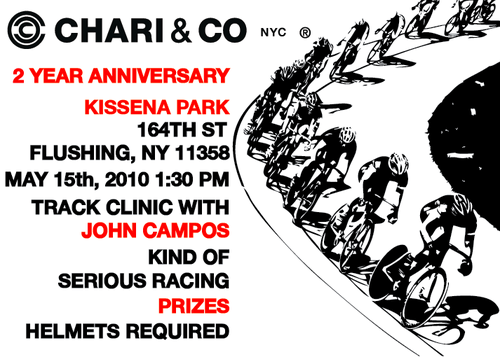 To celebrate both their 2-year anniversary and Bike Month in NYC, Chari & Co will be hosting a gathering at Kissena on May 15th. Expect “kind of” serious racing and prizes. Sounds like fun! Don’t forget it’s opening weekend at Kissena this weekend. Be sure to swing through and spectate!